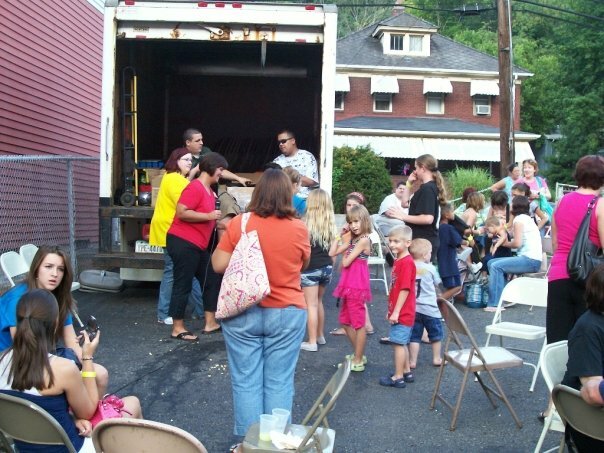 I was in Millvale tonight for our last Block Party. This is going to be the location of our next church plant which will be launching in August of 2009. 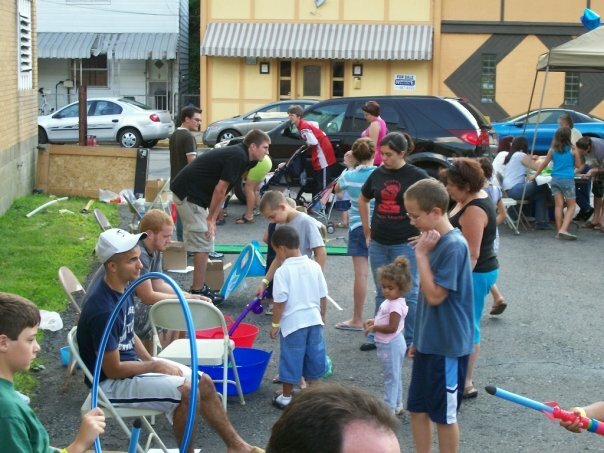 The Block Party tonight was a great gauge on the potential that rests in Millvale. I can really sense that God is moving in this community! We had over 175 people come out tonight and gave away 98 book bags!! There was one lady who came tonight that had attended our outreach in Millvale last month as well. She has seen our Neighborhood Group meeting in Subway on occasion but had never stopped in. Well, tonight she took a step of faith and committed her life to Christ at the Block Party. This is the first life committed to Christ at one of our Millvale outreaches and I believe it’s a sign of things to come! Keep Millvale in your prayers in the coming months as we will be bringing on a church planter (more on that next week!) and working toward the launch of this new church! !